There was a concern that Superman Returns hadn’t done enough to appeal to the young male demographic. At least, that’s what Alan F. Horn, President of Warner Bros. Pictures at the time, suggested when positing that the 2006 film’s box office performance would have benefitted from “‘a little more action’” . Grossing nearly $400 million worldwide  against a $204 million production budget  (which you can tack on roughly $100 million to for marketing costs ), the film had outperformed the previous year’s Batman Begins. However, this was Superman. A new film had been in various stages of development since the 1990s, and Horn had wanted to gross $500 million . Plans for a sequel, referred to internally as Superman: Man of Steel, were to focus on the character as “‘an angry god’” . Surely that would push the sequel past that $500 million marker. The sequel would never come to be as Superman Returns director Bryan Singer left for other projects and the success of The Dark Knight inspired Warner Bros. to “‘reintroduce Superman… [by] go[ing] dark to the extent that the characters allow it’” . And who better to godfather this new, darker take on Superman than two of the major creative forces behind the success of The Dark Knight? While workshopping the story for a follow-up to the The Dark Knight, writer David S. Goyer cracked his approach to a Superman film, and director Christopher Nolan pitched it with him to Warner Bros. in 2010 with an eye for another director to execute the vision  . The timing was fortuitous as Warner Bros. was being faced with a ticking clock to put a new Superman movie in production. A lawsuit from the heirs of Superman co-creator Jerry Siegel had worked out mostly in their favor, but a judge had ruled in 2009 that the Siegel family could sue for lost profits if Warner Bros. did not begin production on a new film by 2011 . Warner Bros. had wanted to make a darker, more action-packed Superman movie that would cross $500 million worldwide while implementing a new strategy that would see them producing fewer films with higher budgets in the hopes of taking in a larger box office gross . The hope was for the success of larger films based on Warner Bros. superhero properties to “‘support other divisions in the company’” . The studio scrapped long-gestating plans for “Batman vs. Superman” and “Justice League of America” films in favor of the Marvel approach of introducing individual superheroes before building up to future team-up films . With the Christopher Nolan Batman films meant to standalone, there would be a tremendous weight on the shoulders of each new Warner Bros. superhero film to launch a universe. The race was on to find a director who could execute producer Nolan and writer Goyer’s vision for a Superman film. Names ranging from Duncan Jones (Moon) to Tony Scott (Man on Fire, Top Gun) were said to be on the studio’s shortlist before the eventual hiring of Zack Snyder in October 2010 . The perception was that Snyder, with his work on 300, Watchmen, and the upcoming Sucker Punch, was a reliable hand for the studio who could be trusted to handle a production of that scale . Days after the announcement that Snyder would be directing what was now simply titled Man of Steel, there were rumblings that Snyder “was not really Warner Bros. first choice” and had been hired because he wouldn’t delay production by fussing with the David S. Goyer script even though it was considered “a mess” . The man had been hired mere months before 2011 for a film that would need to enter production immediately in order to avoid another potential lawsuit from the Siegel heirs for lost profits. Principal photography would begin a mere 10 months later . Snyder would instigate one major change to the script, though. Goyer’s original script called for Superman to defeat General Zod by sending him back to the Phantom Zone; however, Snyder found this conclusion dissatisfying and suggested an ending in which Superman killed the antagonist . This decision was met with resistance from producer Christopher Nolan on the basis that such violence seemed out of character for Superman, but he was eventually convinced of the decision when Goyer presented him with the script for the scene . After the film’s release, Snyder would explain that he wanted to “create a scenario where … either [Superman’s] going to see [people] chopped in half, or he’s gotta do what he’s gotta do”  in order to demonstrate why Superman might develop an aversion to killing while also upending audience expectations about where the character may go from there . The director had carefully picked his battle with Nolan and come out on top. The rest of the film’s production seemed to go along according to Nolan’s initial vision. Snyder studied the flight test footage that Nolan had suggested to him as a potential reference for portraying objects moving at a high velocity and declined Warner Bros.’ suggestion to film a comedic post-credits sequence in the style popularized by Marvel Studios after consulting with Nolan about it . Snyder recalls Nolan telling him that “a real movie wouldn’t do that” whereas Nolan remembers a more diplomatic advisement not to be “chasing other movies, but stay true to the tone of Man of Steel” . Although Warner Bros. was open about their hopes to create a shared universe of superhero films akin to the one at Marvel Studios, the necessity of distinguishing their releases from the competition would remain a consistent thread throughout the development of their slate. Before it was officially released into theaters, Man of Steel managed to bring in $160 million through strategic product placement from over 100 brands  that would see Superman doing battle with the forces of evil in front of Smallville’s Sears and inside its IHOP. That cash in hand made the production budget of $225 million  (in addition to a roughly $110 million marketing budget based on conventional wisdom dictating that a marketing budget will be equivalent to roughly half of a film’s production budget) less of a risk for Warner Bros. A box office gross over $175 million would ensure a profit. The film, released June 14, 2013, ultimately grossed over $600 million worldwide, beating the $500 million benchmark that Superman Returns had failed to clear seven years prior. The darker, more action-packed approach that the studio had decided on in 2008 appeared to translate into greater financial success. Internal confidence in the film’s performance was so strong that Snyder and Goyer were signed on for a sequel prior to its release . 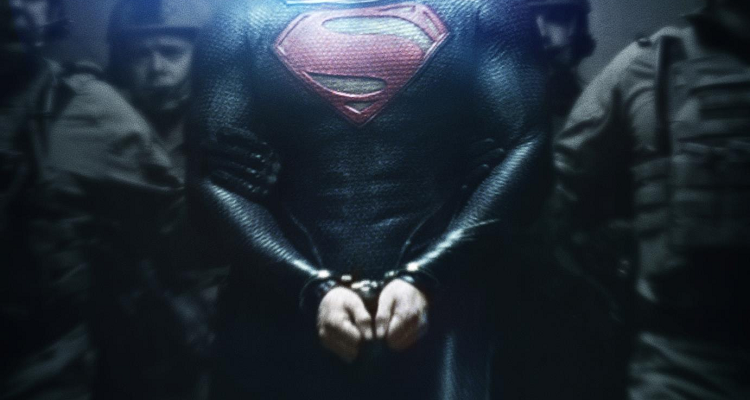 Immediate speculation was that, although he would remain on the sequel as a producer, Nolan wouldn’t have as large of a role in the development of the sequel as he did on Man of Steel . This pointed to a greater degree of creative freedom for Snyder, the man who had convinced Nolan that Man of Steel would benefit from a revised ending. Reception of the film, and its ending in particular, was decidedly less positive than Warner Bros. may have hoped for. Metacritic, an aggregator of film reviews, labels the movie as having received generally mixed reviews  with critics such as Richard Roeper arguing that the film was glum and lacking humor or joy . Warner Bros. had heavily marketed Man of Steel to American churches, hoping that the Christian allegory present in their representation of Superman would see the film receive a financial bump from church groups flocking to the theater akin to the one received by The Blind Side . A commentator for National Catholic Radio, however, referred to Superman as “the anti-Christ” after seeing the film . Regarding the ending, criticism ranged from discussions about whether or not it was in-character for Superman to kill an enemy (the same issue that Nolan had raised during production) to an accounting for whether or not the moment was earned or made sense dramatically given the profound levels of destruction prior to that moment . The controversy surrounding the ending and evocation of 9/11 imagery during the film’s third act  demanded addressing. This is great. Looking forward to parts 2 & 3. The movie gets a lot more heat than it deserves, honestly.